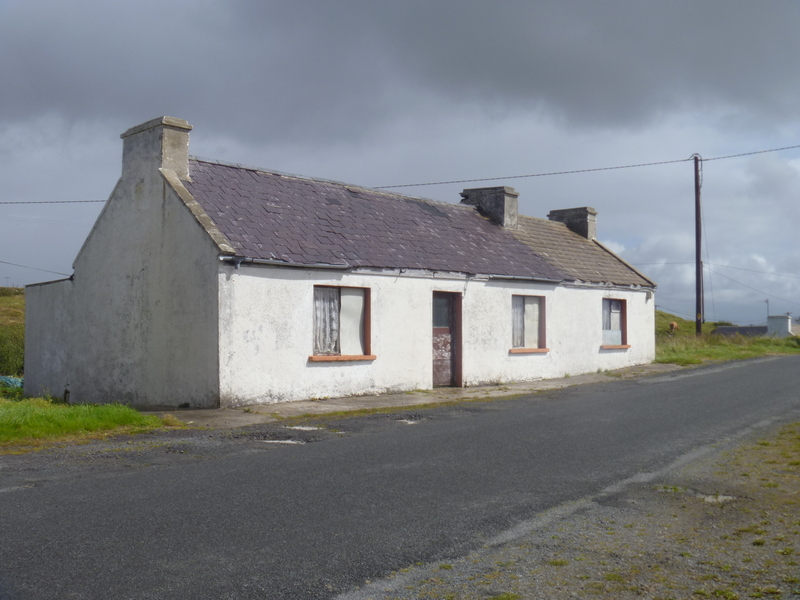 As you drive around the Republic of Ireland, you notice only variations on a single house type. 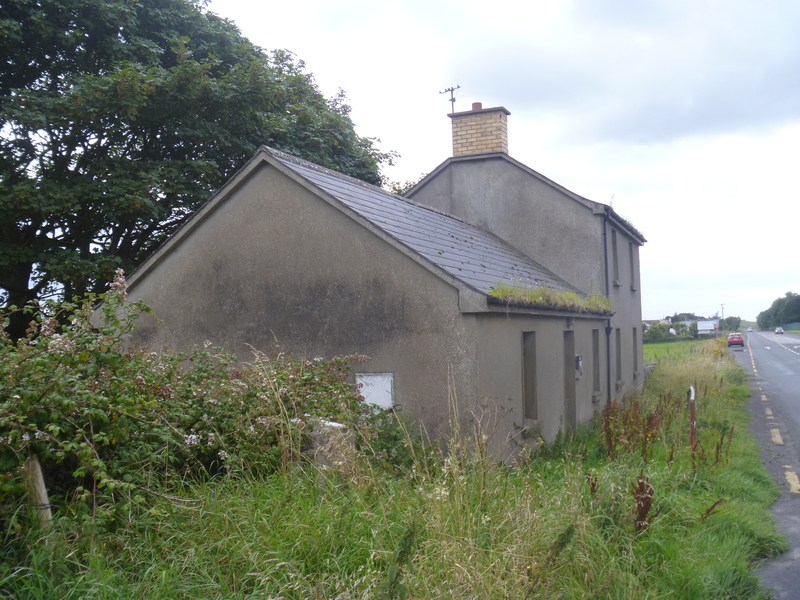 Architecture in Ireland appears to take a simple cottage as the basic model for all housing. There are hundreds of abandoned cottages (L), and there are many restored, rebuilt, or new cottages (R). Some are drawn out longer while others built upward to two stories. Or both. Almost all houses (all freestanding houses) are variations of this shape, give or take a bunch of gables. The counties we’ve lived in here (Donegal, Kerry) are both places that even today have a population that is about half of the population they had in 1841, the first year of the historic famines. 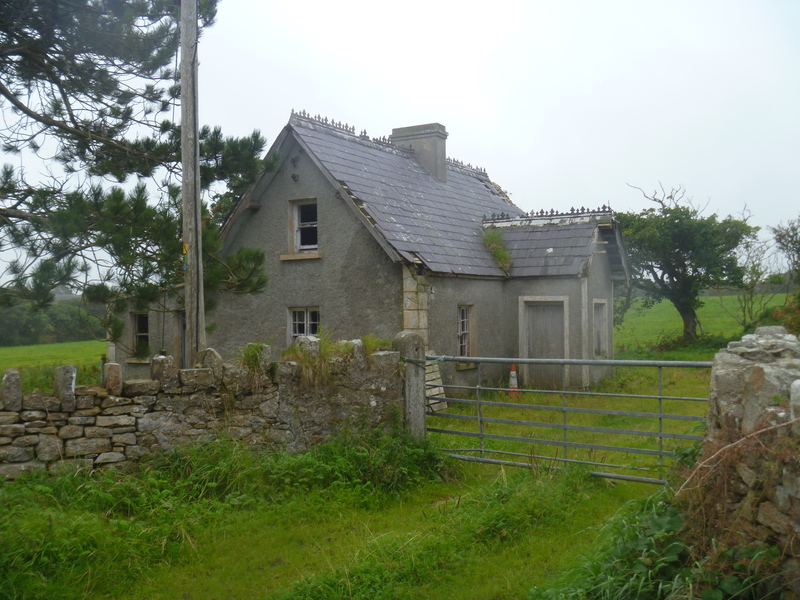 Still, I am fascinated by the number of abandoned stone houses that we have seen. Some have interesting details like the decorative ironwork on the peak of this roof: Many appear to be very near to habitable, and I wonder why they are empty, though I don’t know any of the details–they could have weak foundations, they may be damp, and most are small. Here and there, we see old cottages being restored. Some even get a new thatch roof. Older cottages often had a slate roof. Newly restored cottages tend to have contemporary alternatives to slate for the roof. Thatch is more common in Donegal than Kerry (by my observation). 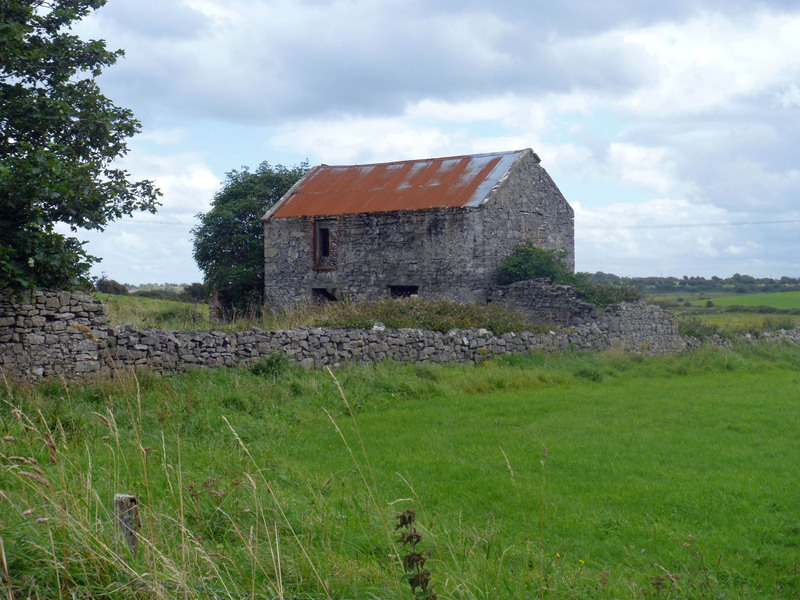 I like this stone barn. Though the lower floor is open to the elements, the external stairs are in good shape and the interior is barred and presumably dry. All it needs is a few windows. Here are a few other ruined stone houses we saw. When you get back from looking at houses, you might want something tasty and warm for dinner. Try boxty, a traditional potato pancake made with both raw and cooked potatoes. It’s delicious.